I saw these shoes on Zara.com and knew immediately I needed them. I needed them soooo badly that I put myself on the waiting list to get them. On Thursday, I got the email saying they were available but I decided to wait until Friday to purchase them (payday duh) and to my dismay they were sold out! SOLD OUT!! So I cried on the inside for 1-5 minutes and then decided to call the ZARA down the street from my job and they had them in stock! 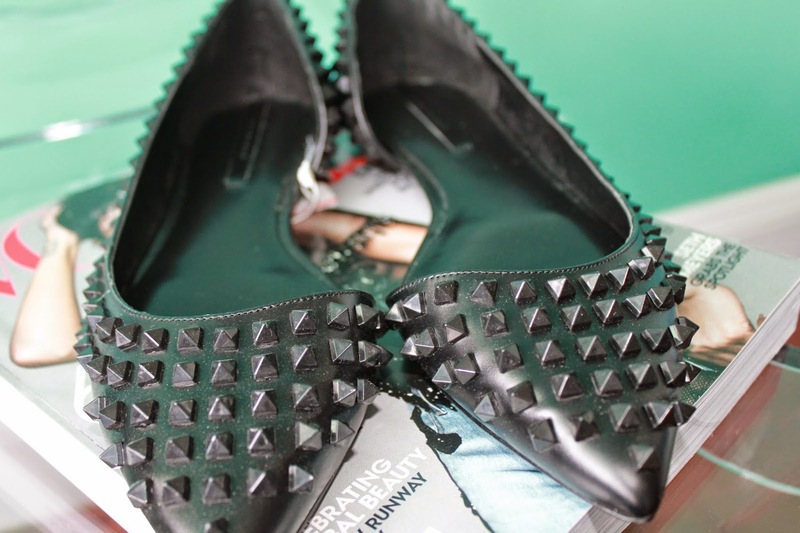 Im so obsessed with these shoes!!!! 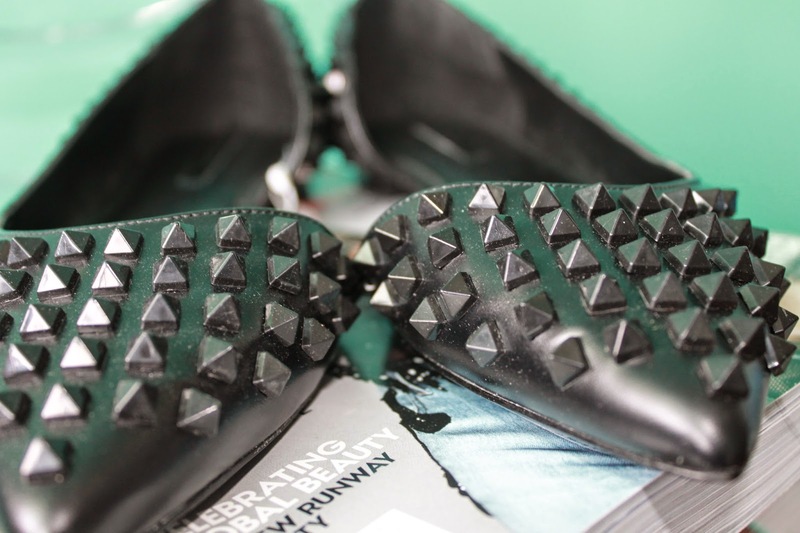 They're studded and black aka the epitome of all things Melanie! 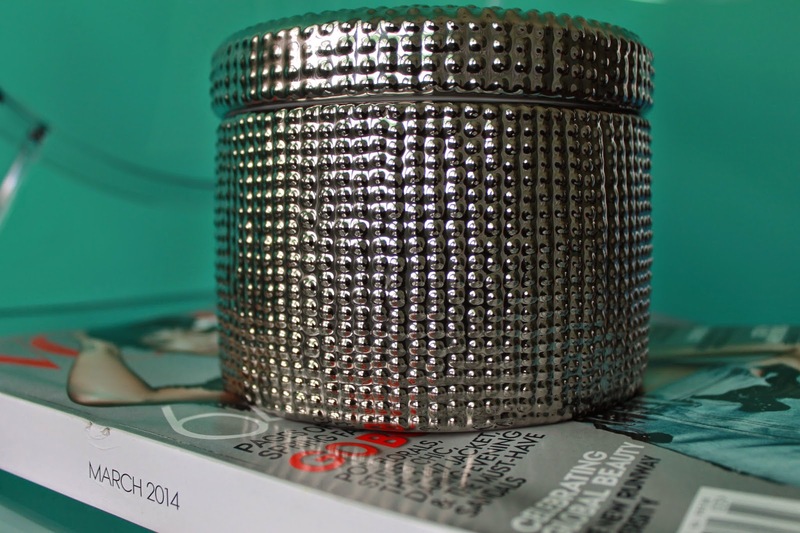 I also swung by H&M and picked up this decorative container for my desk/vanity (the one I don't own yet). I am finally getting around to sprucing up my bedroom. I cant wait to show everyone the final results.